An award-winning crime reporter has revealed that he is still haunted by the first murder case he ever covered 33 years ago. Lisa Jane Hession was 14 when she was sexually assaulted and murdered just yards from her home in Leigh, Greater Manchester, in December 1984. The murder remains unsolved and the only suspect ever arrested in connection with the crime is now dead. Now Manchester Evening News crime reporter Neal Keeling, who covered the story for the Bolton News, has written a heartfelt account of how the case haunts him still. Recalled Neal, pictured: “It the morning of December 10th 1984 and it was the first murder I had covered as a reporter. I was 25-years-old and it was a test, professionally and emotionally. “Stark details of how 14-year-old Lisa had been found two days earlier, and a predictable but justified warning to parents I quickly transformed into a front page story, dictated to a copy-taker back in my newsroom in Bolton. “After the press conference I drove the short distance to Lisa’s home in Bonnywell Road at the junction of Eton Street. Today the 1930s estate looks almost identical, except for a few streets of new housing. “Lisa’s attacker has never faced justice, which amplified the poignancy of my walk this week along Bonnywell Road and the alleyway where she died from asphyxia. “Thirty three years later the case now resonates with me for another reason. The youngest of my three children is almost 13-years-old – a year younger than Lisa. Neal also described how he had doorstepped Lisa’s mum on three occasions, ackknowledging the changes in journalism ethics that have occuured since then. “In 1984 newsroom ethics were not what they are now. Three times I was sent to knock on the door of Lisa’s home and try and speak to her mother, Christine,” ghe wrote. “Christine answered each time and spoke softly from behind the door. She told me she understood why I had to call but did not feel up to talking. Friends of Lisa have not given up hope of a breakthrough in the case and have set up a Facebook page in a bid to help police find new evidence. 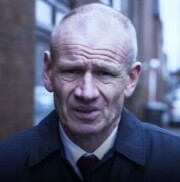 Martin Bottomley, head of the Cold Case Unit at Greater Manchester Police told the MEN the case would always remain open. A touching piece which resonates with me. Again, it was the kindness shown to me by the murdered girl’s parents that has always stuck with me. I still treasure a letter from them thanking us for our considerate coverage of the harrowing case 30 years ago.